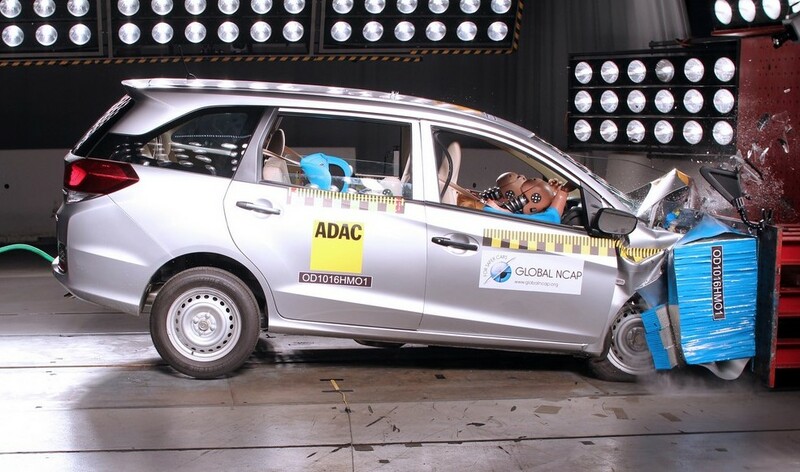 Airbag Mobilio Scores 3 Stars at GNCAP; Base Trim out for a Duck! The issue of safety related to cars has been a widely neglected factor in India for a long time now. However, the market dynamics have changed vastly in the last few years. Companies have not only started offering safety features as an option, but we have also seen them make airbags as standard in higher priced products. To give you an idea, Maruti has started offering airbags as an option while Toyota has them standard across the range. 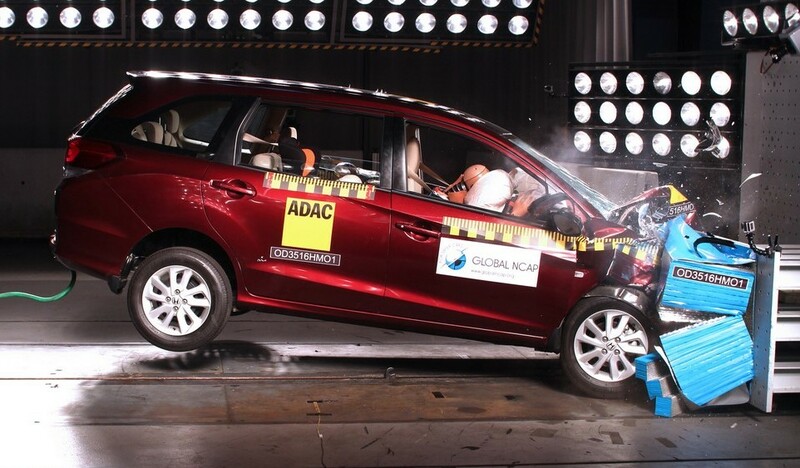 Honda’s Mobilio is another example where the car maker has been able to make the car safer thanks to the presence of airbags. The Mobilio is available in four variants, E, S, V and V(O). ABS and EBD is offered as standard in all the diesel versions while in petrol it is available only in the top end V and V(O) trim. If we talk about airbags and seatbelt pretensioners, they are available only in the V and V(O) trim levels. The knees though continue to be jeopardised due to the possibility of injury from the dashboard.